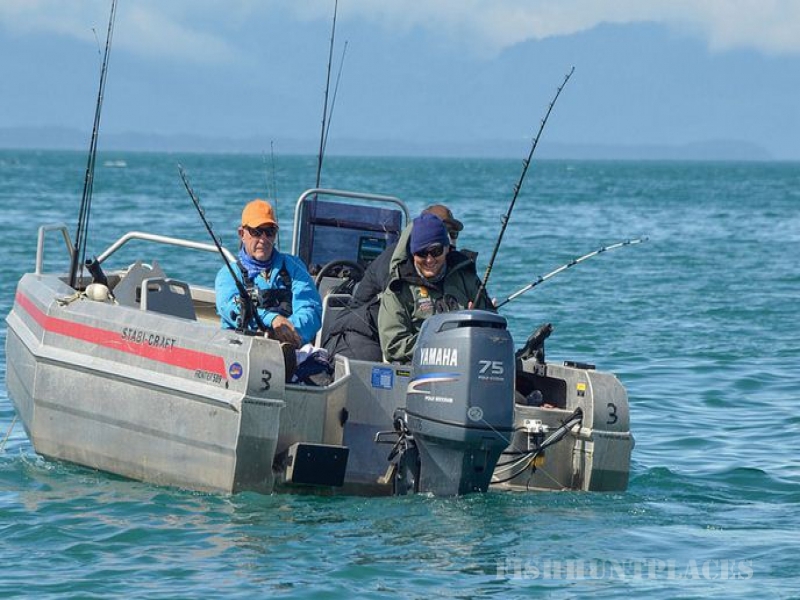 We wouldn't call it a "Fishing Lodge" if we couldn't provide the Alaska Halibut Salmon fishing experience. A 300-pound Halibut, though rare, isn't a dream. Neither are those elusive 50-pound King Salmon. 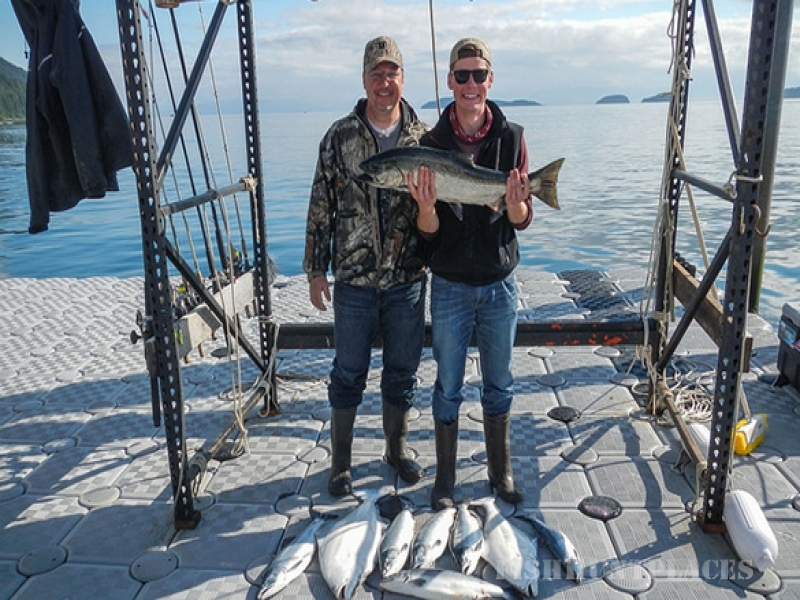 More abundant are the fighting Silver Salmon that seem determined to tow your boat across Icy Straits. And, there's more! Pink Salmon, Chum Salmon, and Dolly Varden (the fish, not the country singer) are always a good challenge, to say nothing of the rock fish, cod and other sea creatures vying for your attention (and eating your bait). With all these fish, you are virtually guaranteed a successful fishing experience. 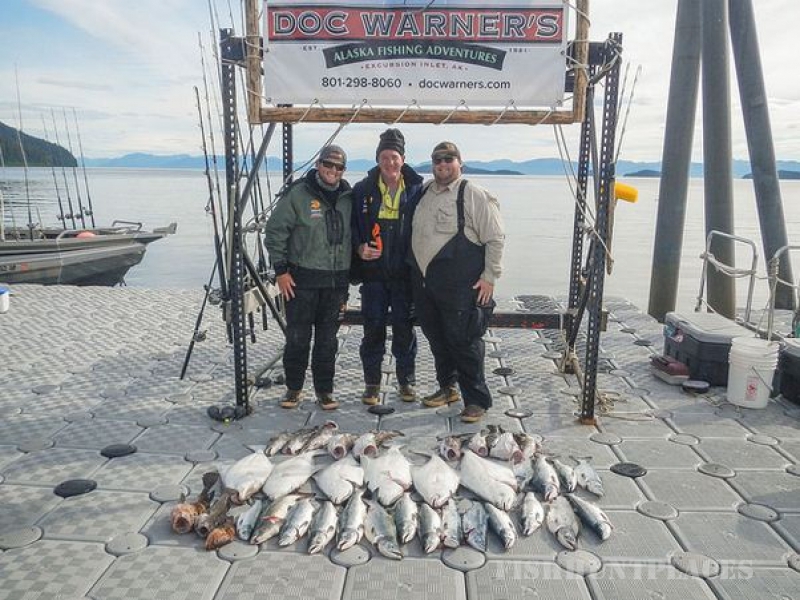 When you start planning your Alaska Halibut Salmon fishing trip, you will need to consider whether you want the thrill of catching the large 20 to 50 pound King salmon, or if you're more into the thrill of seeing the Silvers thrust themselves skyward as they try to dislodge your hook. Or maybe you prefer the peace and tranquility of fly fishing the streams loaded with Pinks, Chums, Silvers, and Dollies. Then again, maybe you'd like to combine catching several of these great fish with some halibut fishing. 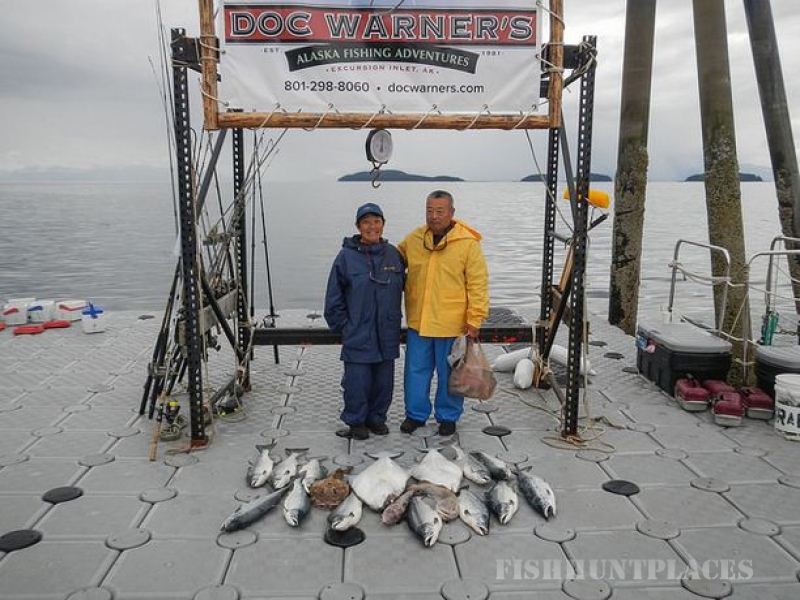 Once you've made your decision on what you want to catch, you will have a better idea of when to schedule your trip to Doc Warner's.